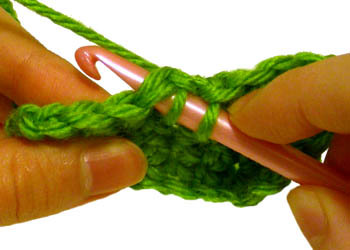 Knowing how to smoothly decrease the number of stitches in a row is necessary when you need to change the shape of the item you are crocheting. 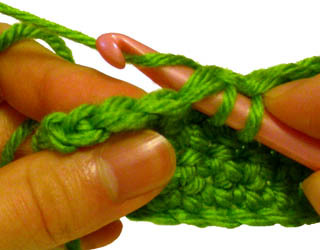 There are different decrease for different stitches, such as single crochet, double crochet and treble crochet. 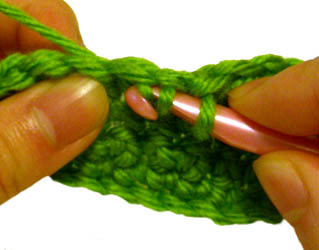 This tutorial contains instructions for decreasing single crochet stitches. Here is the link to the double crochet decrease tutorial if you would like to learn that as well: How to Crochet: Double Crochet Decrease. 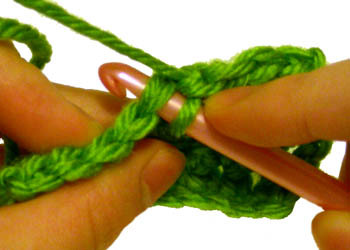 Single crochet decrease is commonly abbreviated as the following steps: pull up a loop in next 2 stitches, yarn over, pull though all 3 loops on hook, counts as one single crochet. Below is the step by step picture tutorial to help you visualize each step. This tutorial is for both right and left handed people. For left handed pictures, roll your mouse over the image and it will change for you. Begin with a swatch of work to practice on. Below I am using a small square of single crochet stitches. Yarn over (wrap the yarn around you hook). 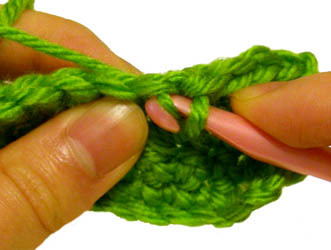 Pull the strand of yarn through the stitch on your hook. You should now have 2 loops on your hook. 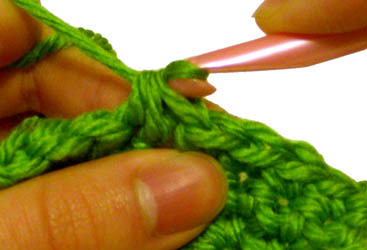 Pull the strand of yarn through the stitch on your hook. You sould now have 3 loops on your hook. 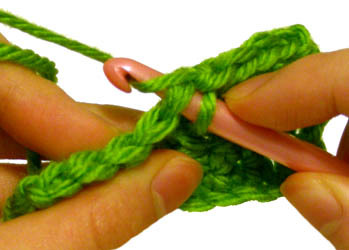 Pull the strand of yarn through all 3 stitches on your hook. Congrats! You just completed a single crochet decrease! When you are working with a pattern, most single crochet decreases are counted as a single crochet when you are counting stitches. Also remember, when you do a decrease you are decreasing the number of stitches on a row by 1. 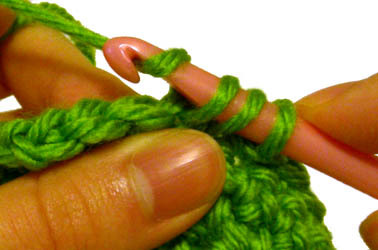 This is the common method for making a single crochet decrease, however, sometimes it is better to make an “invisible decrease”. Use the following link to learn more: How to Crochet: Single Crochet Invisible Decrease. This entry was posted on Wednesday, December 9th, 2009 at 2:03 AM by Rachel Choi	and is filed under Tutorials and Help. You can follow any responses to this entry through the RSS 2.0 feed. You can leave a response, or trackback from your own site. I just wanted to say that I was so happy to come across your site. I am going to be teaching a crochet class in a couple weeks and your How to Crochet stitches have great, clear images and simple instructions that will be very useful! Thank you for taking the time to create this site and for including some fun patterns as well. How come you don’t have a tutorial for the HDC? Or do you and you just didn’t link it anywhere…..
For an increase at a corner I would do 3 sc, so I would imagine that a decrease at a corner would be dc3tog. Feel free to try and ask the designer for more help if you can! Excellent tutorial and the right / left hand pictures are really helpful. Thanks for sharing! I was looking for such a photo tutorial as I can’t always understand some of the instructions. Thnks dear.